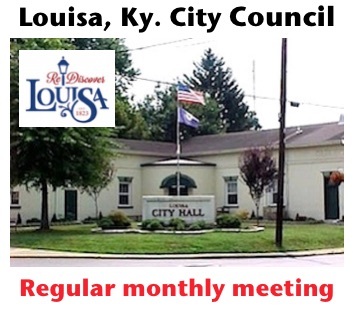 Louisa City Council met in Regular Session on April 9, 2019 at 7pm, with Mayor Harold Slone presiding. Council members in attendance were Gary Robertson, Matt Brown, Lisa Schaeffer, John Nolan and Mitch Castle. Meeting called to order at 7:09pm. Motion by John Nolan, Second by Lisa Schaeffer to approve minutes from March 2019 meeting. All approve. Council opened bids for advertised fleet management services. Received one bid from Enterprise Fleet Management. Motion by Mitch Castle, Second by Gary Robertson to approve bid from Enterprise. All approve. Mayor advised he is meeting with representatives with Green Valley Landfill to discuss potentially switching dump services from Big Run Landfill with potential lower rates. Council reviewed surplus auction bids. Bid from Jason Axe for $9200.00 for a Sterling Garbage Truck and a bid from Dean Tarp for $499 for a surplus trailer. Motion by Matt Brown, Second by Lisa Schaeffer to accept bids. All approve. Council delayed approving new Personnel Policy until next meeting. Motion by Matt Brown, Second by Mitch Castle to approve resolution for Municipal Aid Co-op program with the Appalachian Municipal Aid Co-op. Mayor advised that AEP’s franchise contract has expired, he will be meeting with AEP rep in the near future for discussions of a new franchise contract. No actions were taken. Karen Coburn, provided council with a presentation regarding the 2020 census. She advised to expect the population to go down in most counties in the region. Ms. Coburn asked the city to get together with the County Government to form a census count committee and prepare a resolution for next meeting. 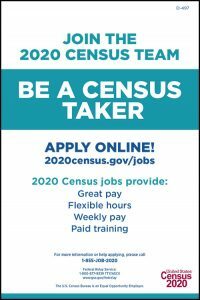 She also advised that anyone interested in working for the census could apply at usajobs.gov. Mayor advised of a garbage nuisance issue on Powhatan st. and Adams St. Mayor advised he had left message with the owners and they had not responded. No action was taken. State Rep. Kathy Hinkle addressed council concerning state pension bills. Councilman Matt Brown advised that the Rise Above Hoops for Hope tournament would be July 13-14, 2019 and thanked the Mayor for helping start the program. Council thanked Louisa PD for the Dice program and success of the program. Council also discussed the need to re-visit and complete the previously discussed annexation. Motion by Mitch Castle, Second by John Nolan, to enter executive session concerning 1 matter of litigation and 3 real estate issues. No action was taken and meeting adjourned at 8:39pm. Why does the County Owe money to the City, please explain to everyone why! Of course the population is going down. The young people (who haven’t become dope heads) are all leaving so that they can make a living. This place is pathetic. As long as ARC keeps bringing in the drug addicts, you have no census problems. Your problems are the problems they bring with them. Obvious that ARC controls the city council! Couldn’t agree more. ARC has ruined this little town. I was born and raised here. I will be leaving as soon as my last child finishes school. Well as I always say I wish Louisa was like it was n the good ole ‘70’s!!!! I loved it better then, but I still love my hometown that I was born n 63 years ago. Being a bigger city doesn’t matter to me @ all. I don’t even remember a census or I just didn’t pay any attention. How has ARC ruined the city? If you’ve ever had a drug addicted in your family you know ARC is a good thing. Haters gonna hate.. I see so much good in our little place we call home. 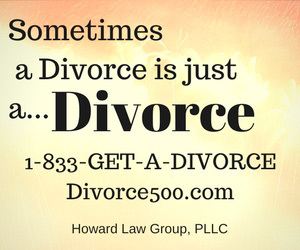 If you think moving is going to solve your problems then think again. Drugs are everywhere. You’re miserable here by choice.. Go ahead and leave you’ll be in misery any place that you go..
No i am not miserable by choice. I was born in this town long ago. I have lived here all of my life. ARC has ruined this place. You more than likely work for them or are related in some form. I believe there some funny things going on with them. That’s just my opinion. Only the future will tell. By the way tell them to keep up with their taxes. Just rumor. You can thank all liberal unions and left wing fruitcakes that helped destroy the coal industry for the communist in D.C I’m still waiting on all those solar farms and wind farms to be built ? But you all cry when they build the 8 nat gas harbor facilities and replace Russian nat gas with u.s.a domestic supplies you average electric bill in winter will be $600 a month YOU MISS OLD KING COAL THEN !!!!!! I think you might want to check with your dear old Mitch McConnell. Remember the promises he made regarding the coal miners? Keep electing him and you will never see miners back to work.